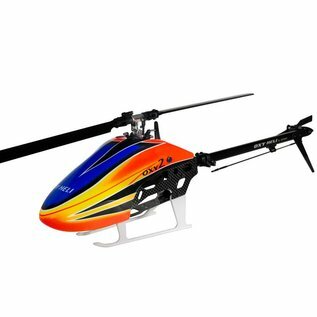 Oxy 2 Sport isn’t scared of anything, lightweight with amazing Tail performance will made you thrust that is possible enjoy the 3D fly in just Mini package. 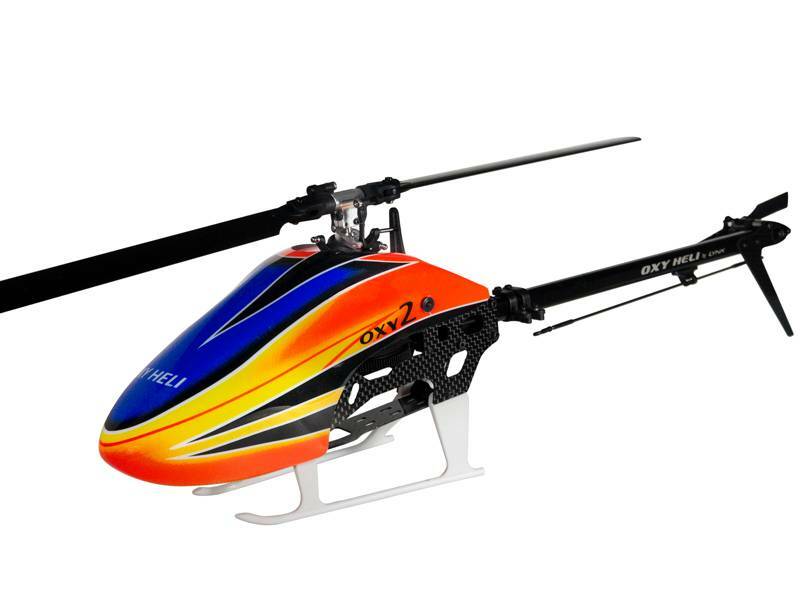 - Heli designed for intense (insane) 3D performance. - Ultra rigid CF frame with low screw count, super easy to assembly and service. 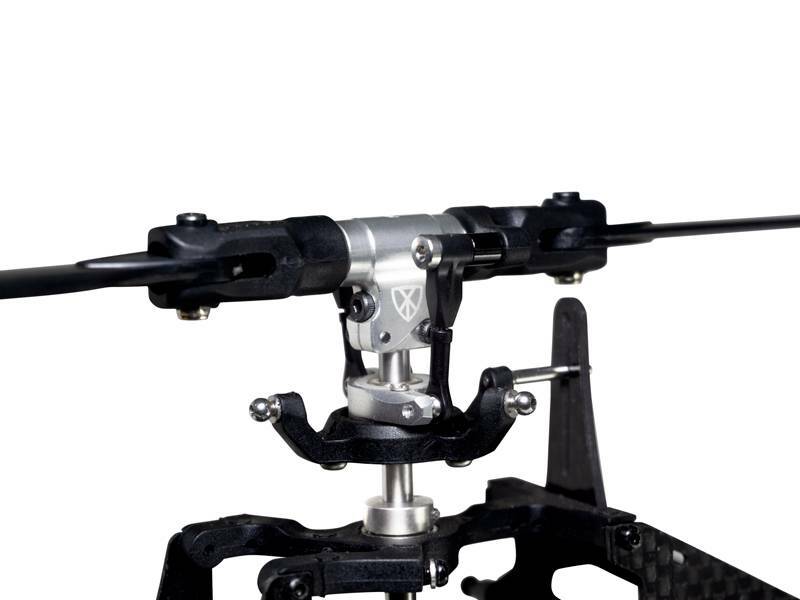 - Double main shaft supports with innovative adjustable servo size options. - Quality Injection Molded Techno Polymers Parts. - Lightweight, Big Canopy Volume for high visibility. High-end pre-painted thermoformed Lexan Canopy. - Innovative Lynx-Oxy Cyclic Servo Diagram that keep all three servos always visible and easy serviceable. - Innovative Landing Gear System with Left and Right ultra-fast releasing Skids. - Semi rigid DFC head system for precise performance. Innovative Lynx-Oxy Semi rigid Dampening System. - Double Radial Bearing and Thrust bearings on Main Grip. - Ball raced 120° CCPM – Innovative Lynx-Oxy Serviceable Swash Plate. - Swashplate linkages with optimized geometry. - Double Radial Bearing on Tail Grip. - Belt drive tail (low parts count and low crash cost). 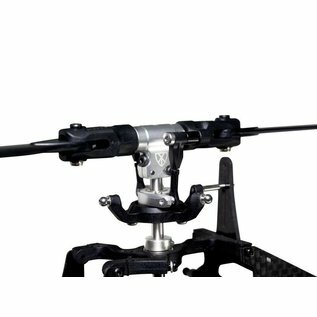 - Innovative delta box tail boom with no requirement for boom supports. - Rigid carbon fiber 1.5mm diameter tail push rod for the increased tail control. - Battery tray fits a variety of battery packs 3s -4s (600 to 1350 mAh) , Max Dimension: Length 72mm - High 25mm - With 35mm – 115gr. - ESC support suitable for 25 to 33A ESC – suggested: CC Talon 25 – HW 30. - Motor Options: EOX Lynx 1611 – 5500 KV or EOX Lynx 1911 – 3600 KV or similar motor with 2 or 2.5mm motor shaft. Suggest KV from 3600 to 5500 in function your battery set up. Max Motor Dimension: Outer Diameter 26mm – Length 24mm (Example: EOX 1911 - 3600Kv or BL250MX – 3600Kv). - Hardened Steel Pinion included in the kit: 11T 2mm Shaft and 13T 2.5mm Shaft (Oxy Lynx also offer aoptional pinions; click here for Pinion Options). - Suitable for Sub Micro or Glider Cyclic and tail servos. Note: Other Servo can fit, for fully compatibility servo check User Manual Servo Size. - Smart and clean electronic wiring set up. - Smart and protected FBL unit position – suggested FBL MSH U-Brain or MINI Brain – U-Ikon or MINI Ikon – Mikado Neo - Spartan Pico or Nano – Micro Beast. 1 x Oxy 2 Sport Kit with DFC Head System. 1 x Oxy 2 Sport Lexan Pre-Painted Canopy – Multi Color Schema. 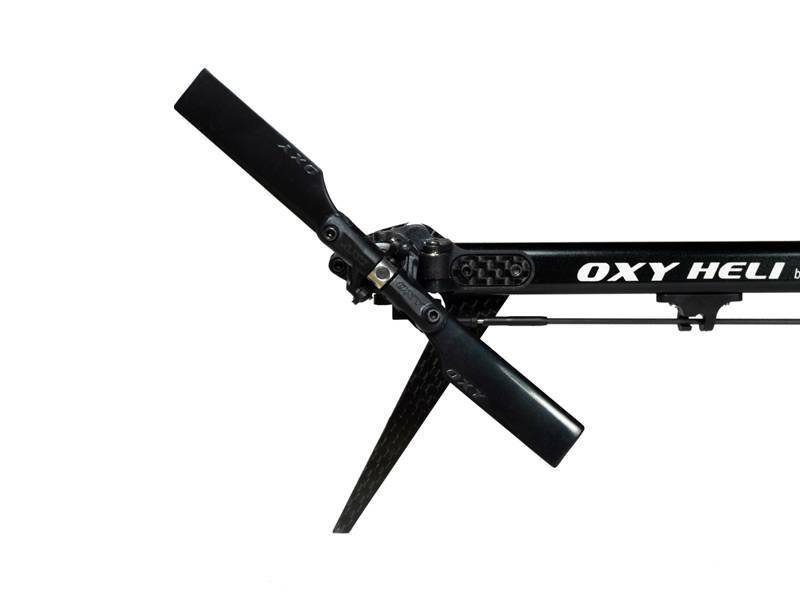 1 x set Oxy Carbon Plastic Main Blade 190 mm – Black Color. 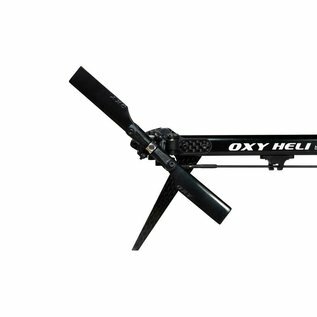 1 x set Oxy Carbon Plastic Main Blade 210 mm – Black Color. 1 x set Oxy Plastic Tail Blade 38mm, Back Color. 1 x set Oxy Plastic Tail Blade 41mm, Back Color.